i mentioned in my last post that my sister and a special someone is coming down to San Francisco this weekend to see me. his name is Nils. he is from Germany and he is my half brother, one of my father’s two sons from his first marriage. i haven’t seen Nils in over fifteen years. i spoke to him on the phone the other day for the first time in over fifteen years. if you’ve never had an experience like this, there are simply no words to describe it or do it any justice. it was exhilarating and completely surreal. for the first time in over fifteen years, my sister (Svenja), Nils, and i will be sleeping under the same roof. i keep pinching myself because i never thought this day would come. when you grow up like i did, you get used to not having an extended family. my (blood) family in the states has only ever consisted of me, my mom, my dad, and my sister. a family dinner never extended beyond the four of us. i’ve never had one of those christmas days where you shuttle around from one relative’s house to another because there were never any relatives to pay a visit to. there were only boxes to pack and send across the pond to our extended family, with high hopes of christmas and birthday pressies alike reaching them in time. and i give my mom full credit for doing all of that. this weekend will be amazing. 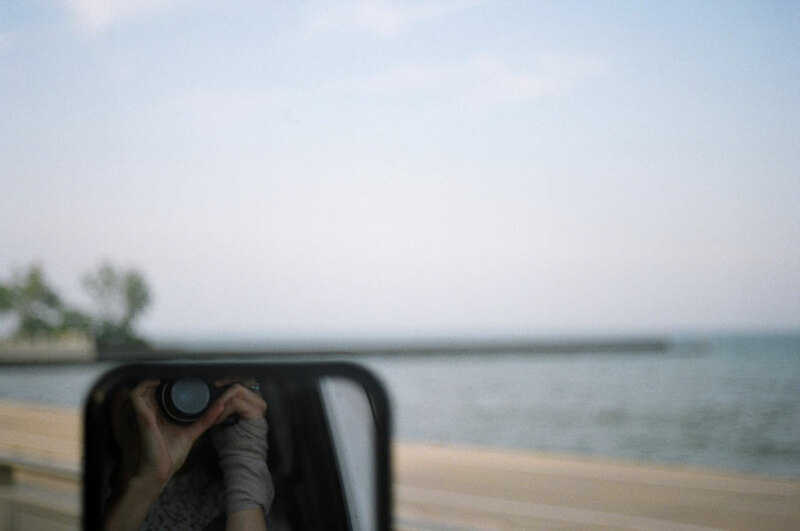 i need to purchase a roll of film (ok, rolls) pronto because i need to record it as best i can. i went to the doctor today. as i had suspected, i have both bronchitis and sinusitis. antibiotics are already swimming around my stomach and a bottle of codeine infused cough syrup is on hand for enjoying a night of cough free sleep. i am also eating vitamins and cold medication like it is going out of style, so if this post seems a little foggy and lacking my usual gusto – that’s why. the above drawing was inspired by a song my roommate shared with me. 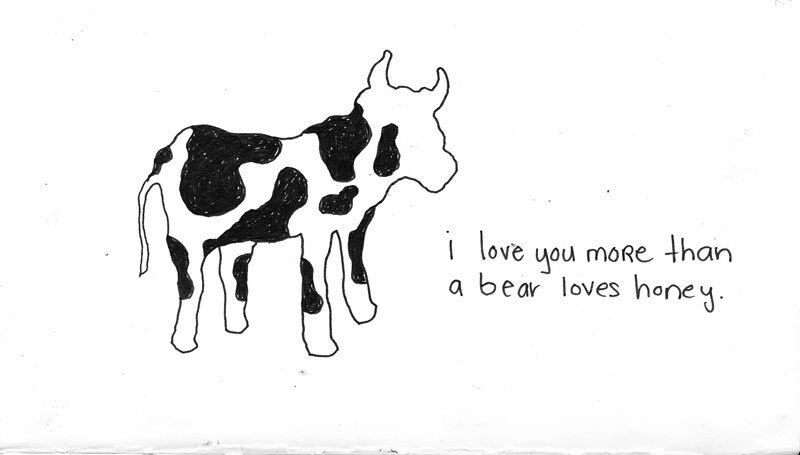 it’s a love song, in case you couldn’t tell by the one lyric i wrote down next my drawing of a cow, er bull. why didn’t i draw a bear ? beats me. i was also told that if were to ever have a child it would come into this world wearing sunglasses and a scarf. two things you will rarely find me without even on the warmest and most cloudy of days. time for a nap. over and out.